Our teeth are as unique as a fingerprint or signature. Everything from the shape, color, texture, and alignment contribute to the overall appearance of our smile. While factors like microesthetics, macroesthetics, and teeth angulation are mostly things we are born with and have previously had little control over, modern technology and cosmetic dentistry from River Forest Dental Studio have made it possible for people from all walks of life to achieve their best smiles - regardless of genetics, accidents, or past coffee and red wine consumption! Some dental problems are fairly straightforward. For simple staining and discoloration, a few professional tooth whitening procedures can do the trick. A broken or severely decayed tooth can be repaired with a crown, and orthodontic treatment can fix significant alignment problems for crooked and unevenly spaced teeth. 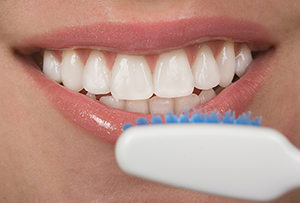 For the more subtle dental issues that may not require braces or dental caps but still affect the cosmetic quality of the teeth, porcelain veneers offer the perfect solution. Cosmetic dentistry has been described as both an art and a science, and for good reason. Fixing imperfections like small chips and cracks, and reshaping the size and shape of a tooth while preserving the look, feel, and structure of the natural teeth requires a great degree of skill and precision. Made of a thin layer of porcelain, veneers are designed to replicate the properties of a tooth's natural surface. Veneers are also incredibly easy to maintain and care for, requiring the same daily brushing and flossing routine as natural teeth. in River Forest, IL at (708) 366-6760 for more information!